Our goal is simple: To enhance our daily lives by bringing a surface richness, texture, and imagery into our homes and businesses. 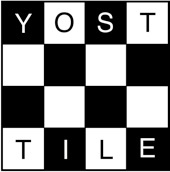 Yost Tile creates relief tiles for kitchens, bathrooms, and fireplace facades. 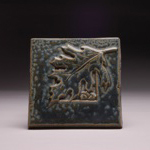 We create relief tiles that are high-fired with a nature-inspired glaze pallet. 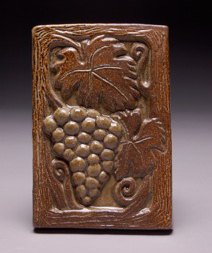 We hand carve the original design and make a plaster mold. We then press soft clay back into the mold to create the tiles. We have created custom designs for private homes and for public locations, including Akron Children’s Hospital, the Akron Municipal Building, Old Trail School, Lock 3 in Akron (a downtown park that hosts bands, ice skating and other events), Robinson Elementary School, Herberich Elementary School, and Wadsworth Intermediate School, among others. Bob studied the art of creating tiles with Frank Georgini (of upstate New York, teaches at Parsons School of Design and author of Handmade Tiles), Peter King (of Pensacola, Florida, and author of Architectural Ceramics), Beth Starbuck (owner of Starbuck Goldner Tile out of Bethlehem, Pennsylvania), Gloria Kosco (Silverdale, Pennsylvania) and others. With a BFA in ceramics, 25 years of experience creating and installing custom tiles, and teaching the creation of custom tiles during that time, Bob is well-suited to offer a work of art that is custom and unique. He can capture your uniqueness in clay!